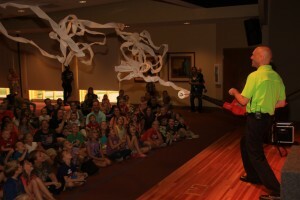 Discover The Magician Who Has Kids and Parents RAVING About His Magic All Over The Greater Cincinnati Area and Beyond! 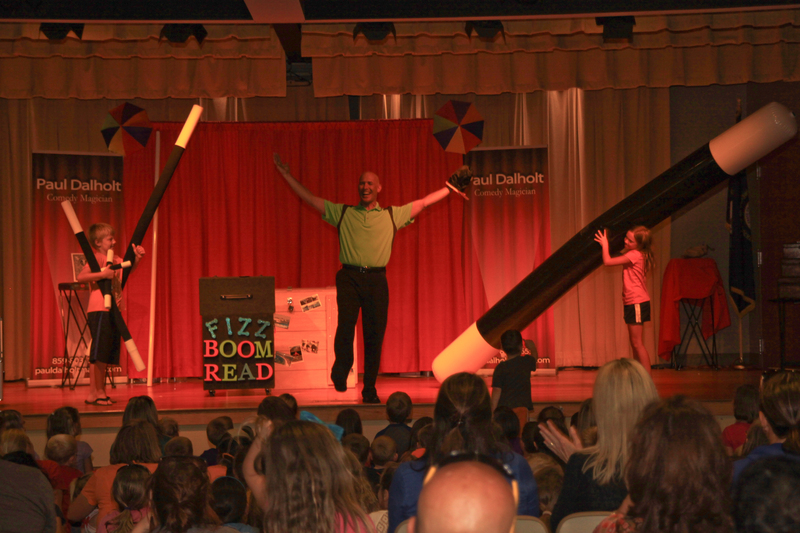 A Foolproof Way To Encourage Children To Want To Read! Presto Paul will thrill your audience with Magic featuring optical illusions, crazy machines, wacky experiments and much much more! 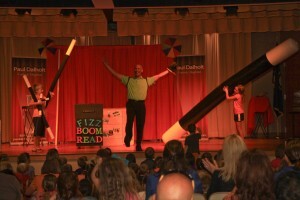 Of course, Presto Paul’s show will feature tons of audience participation, family friendly humor and amazing magic. Pull out your books! The kids will make a dash for them at your library once the fun is all done and books will be flying off the shelf! 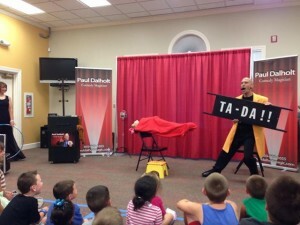 Presto Paul’s Reading and Magic Show is the ideal entertainment choice for both children and adults. This is an event your kids and their parents will be talking about for a long, long time. Hear what Bonnie Roberts of Gallatin County Public Library said about Presto Paul! Your library will receive a special promotional poster to help promote Presto Paul’s appearance. 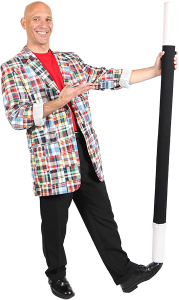 Those attending the show will be given Presto Paul’s very own Jumbo Funny Money with 4 Easy to learn Magic Tricks absolutely FREE! What makes me different then all the other entertainers out there? First and foremost, I am a full time professional entertainer. I’m certainly not a weekend warrior or part timer. I dedicate 110% of my expertise and experience to making your kids laugh with hilarious comedy, music, audience participation and Magic! My show is perfect for ages 2 through 92. As you know, children don’t want to just sit and watch someone do magic tricks. Children want to get involved and experience the magic and fun themselves, don’t they? This is why I make it a point to use audience participation to the MAX! More than any other area magician, guaranteed! Imagine the laughter, smiles and pure excitement of the children at your library as they help make the magic happen! This sounds great, but will the kids really sit for a 45 minute Magic Show? These are just a few of the magical moments you can experience when Presto Paul appears at your library! Is your child interested in magic tricks and want to learn how to perform magic? personalized instructions, nor do they tell you if you are following the instructions correctly and doing the trick as it should be done. THERE IS ONLY ONE SOLUTION!!! Having an Award Winning Magician with over 20 years experience that will teach children hands on! The tricks that Presto Paul will teach are simple to learn but are amazing and incredible to watch. Plus, children who learn magic learn to READ and comprehend what they read. They also learn to feel comfortable to perform in front of a group of people. They learn to communicate and their self esteem improves. Reading & comprehension skills, practice skills, concentration skills. Eye/hand/finger coordination, digital dexterity. Sleight-of-hand moves and the handling of objects in specific ways. Communication/verbal skills, creativity & expression skills. Presto Paul’s magic classes are professionally tailored to benefit the children s maximum learning potential. I spend the entire hour teaching MAGIC. In my classes the children get Three tricks to learn during class. Every Child will receive a Presto Paul Magic Kit and will learn ALL 7 Tricks in the kit Plus a Magic Rising Wand! And every child will receive Presto Paul’s Magic Dollar Bill with 4 More Easy Tricks that they can learn for FREE! BOOK NOW before dates disappear! 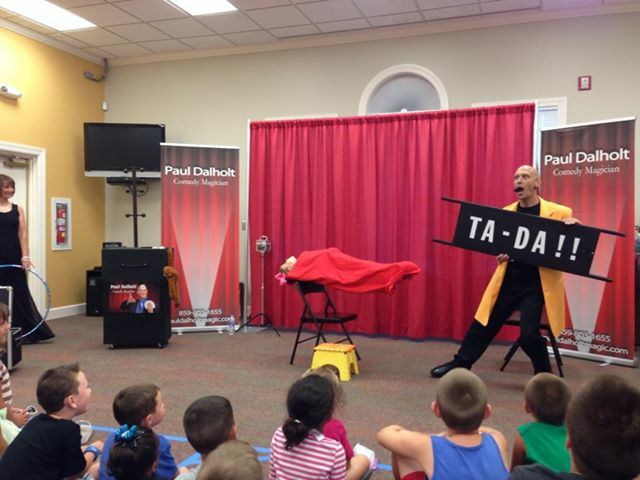 Special Pricing for Presto Paul’s Reading Library Performances. How did you find me? What is your FULL name?